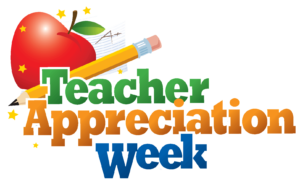 Teacher Appreciation Week kicks off Sunday, May 5, at Woodburn! Woodburn families are invited to stop by the school lobby on Sunday, May 5, from 4-5pm to decorate the sidewalks and recognition signs for our wonderful Woodburn staff! Treats on Tuesday, May 7: Send in some sweet treats with your child to share with their Teachers and “Specials. Supplies on Thursday, May 9: Send in classroom and other educational supplies. For ideas on how to recognize our Woodburn teachers and staff, check out the “Favorites” section, below, to see their wish lists. FAVORITES – click the links below for teacher and staff favorites! We’ll keep adding links as we get the completed forms. If your teacher list isn’t provided here, please check back in case they submitted their form. You might also reach out them directly to see what they might need and appreciate. To offer any assistance to our Teacher Appreciation volunteers, please contact Katharine Kraft (katharine<at>oskrafts.org) and Leslie Borkenhagen (leslieborkenhagen<at>gmail.com). THANK YOU FOR YOUR HELP RECOGNIZING AND SUPPORTING OUR WONDERFUL WOODBURN STAFF! Help the PTA get closer to its Restaurant Night fundraising goal by dining at Silver Diner on Tuesday, April 30, between 5pm and 8pm. Our PTA will receive a donation for a portion of the night’s sales! There’s no need to show a flyer at Silver Diner, so please help us get the word out and invite friends and family to dine-in or take-out between 5pm and 8pm on Tuesday, April 30! We are excited to have your family join us again for the most important fundraiser of the year! 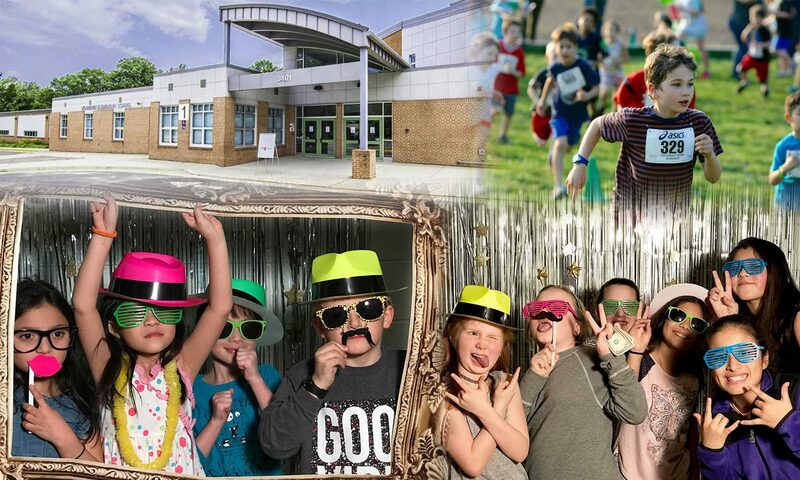 The Fun Run and Fitness Fair helps the PTA fund a variety of programs for Woodburn students, including our school-wide arts-focused program, Continuing Education Through the Arts (CETA). Please make a pledge to support your child’s participation in this awesome annual event. 1) Search for student’s name online at the Fun Run website, and be sure to share your child’s link with family and friends to encourage more donations in support of your student! 2) Send donations in the envelopes that were sent home in late March. What will happen during the Fun Run? There will be bibs and medals for all of the runners. Representatives from the community will share information about health and fitness. There will be additional prizes for the students and grades that raise the most money. The PTA will be selling snacks and raffling prizes. A food truck will also be on-site. 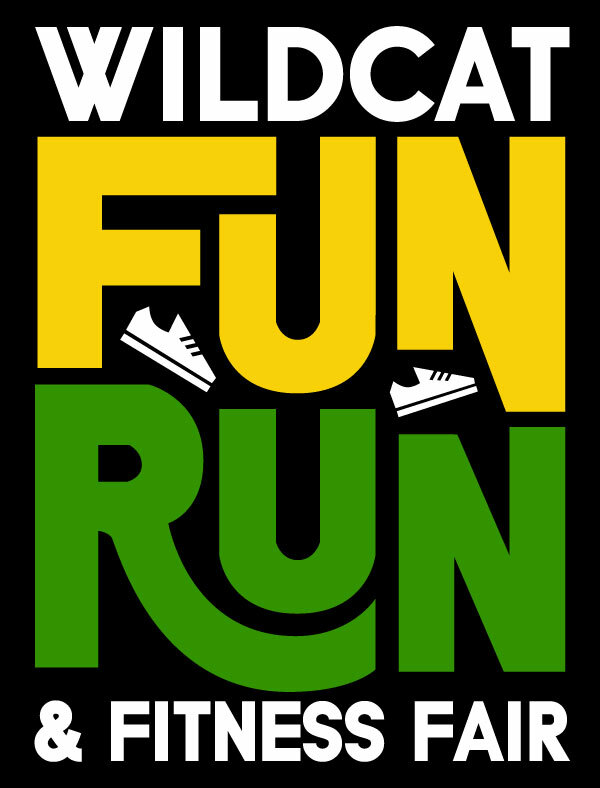 The Fun Run takes place in the evening at Woodburn. Check-in begins at 6:00pm, and the race begins at 6:30 pm. It is a fun event for the whole family, so please plan to attend to cheer on your child. Bus service will be available for Fairmont Gardens residents before and after the race. How does your child earn pledges for the Fun Run? To make this fundraiser a success, please help your child secure financial pledges from friends and family. 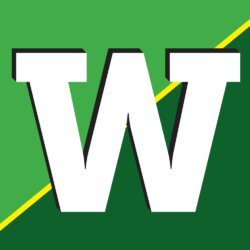 Donations can be made via check to the Woodburn PTA using the envelope that came home in Thursday folders, or donations can be made online at https://99pledges.com/fund/woodburn2019, simply search for your child’s name in the participant bar. Also with the packet that came home in Thursday folders, is a sample script for students to use when seeking pledges from friends, family and neighbors. Please do not solicit donations from strangers. Thank you for your support in making this a FUN and SUCCESSFUL event! 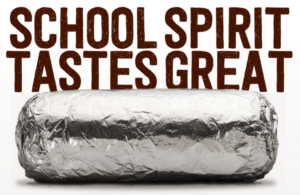 Woodburn PTA Restaurant Night at Chipotle! Click here for Chipotle flyer. Be sure to show the flyer (paper or from your phone) when paying for your order. This does not apply to online orders. Access the flyer here. Please share with friends and family! We hope to see a great turnout in support of Woodburn! 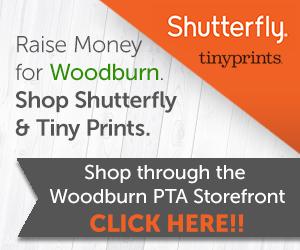 Help Woodburn PTA reach their Restaurant Night fundraising goal! We are 54% to our goal after the previous events at Chuck E. Cheese’s, Paisano’s, Choolaah, Ultrazone, Silver Diner and Nando’s. Tickets are $3 in advance or $5 at the door. Purchase tickets using the flyer (click on the image). Proceeds go to Woodburn School. 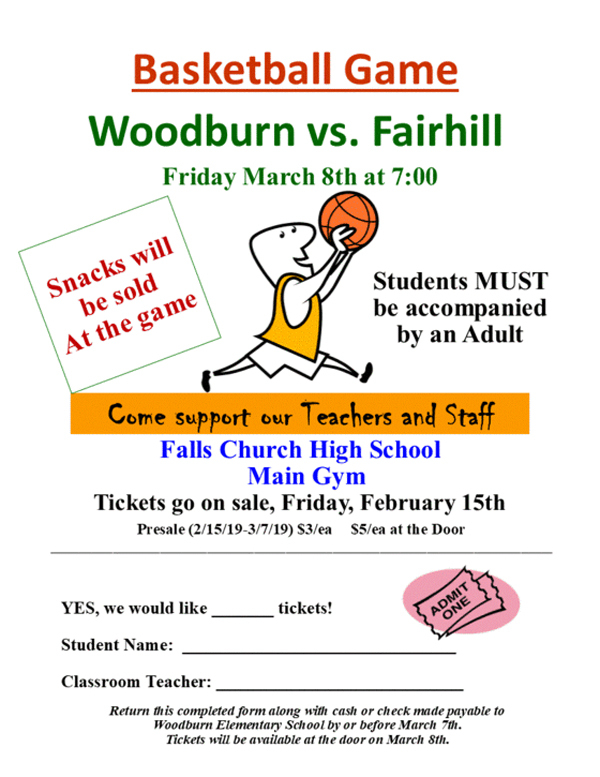 Support our Woodburn teachers and staff at a basketball game against Fairhill Elementary School. Come cheer them on! Wear your Woodburn gear! Pom poms, Woodburn spiritwear and vintage spiritwear will be for sale. Note: Students MUST be accompanied by an adult. The next PTA meeting will take place at Heritage Center with School Board members Sandy Evans and Dalia Palchik, who will discuss FCPS budget and recent school board initiatives. 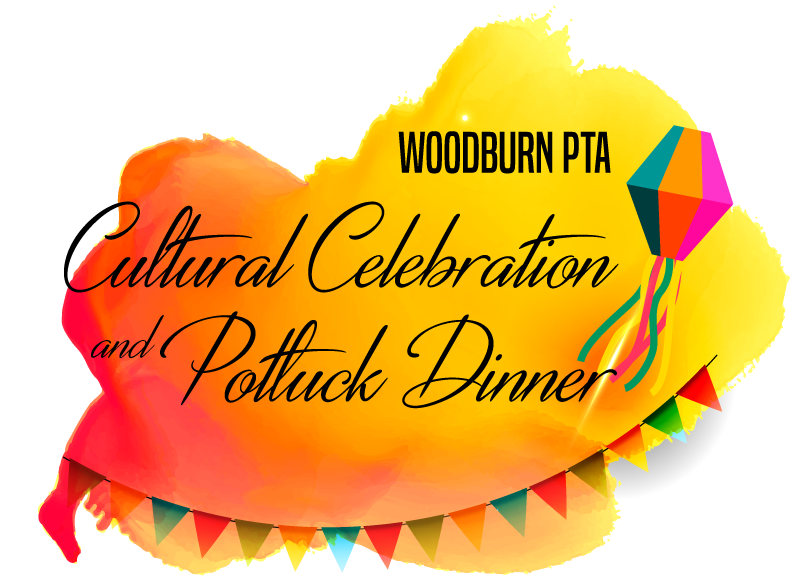 A cultural potluck dinner will kick off the event at 6:45pm and the meeting will take place from 7-8pm. We invite you to bring a dish to share!